Listening is a unique craft and it impacts how others perceive us. However, in the fast-paced world where everybody seems to be in a hurry, listening is becoming increasingly passive and secondary. Today’s world is driven by technology where most of us have become addicted and intimate to our gadgets, listening is bound to take a backseat. Therefore, we tend to let things they say in one ear and out on other. A research by Wright State University shows that the average person listens at only about 25% efficiency. 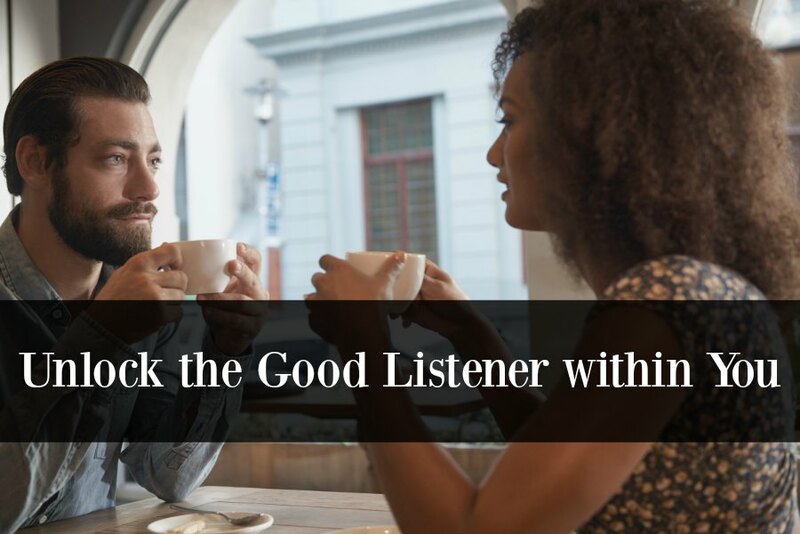 According to Paul Sacco, an assistant professor at the University of Maryland of School of Social Work, there’s a good listener in all of us. However, unknowingly, we are slowly but surely killing the good listener. Here are some effective listening tips to incorporate into your personal and professional life in order to set free the good listener inside you. Be Present and Attentive, Emotionally: Listening is an active engagement with the speaker. However, most people have been conditioned to believe otherwise. Therefore, they tend to think of it as a passive engagement which triggers lack of true focus on the speaker. Attentiveness is the first thing you notice in good listeners. They are attentive to what you’re saying. Basically, this means they are present in the very moment of interaction, emotionally as well as physically, and this presence doesn’t carry any superficial traits. They show interest and stay focused on the speaker, making him feel confident and expresses himself without any hesitation or embarrassment. Before you start listening to a person, be sure to drop everything else you’re doing and make yourself truly available to the speaker. Try to get into their shoes and connect with them emotionally. This may take a bit of practice but eventually, it becomes second nature to you. Empathize with the Speaker: The most challenging thing about being a good listener is being there for the speaker in the first place, emotionally. Yes, it can be very hard for those who listen to others just for the heck of it. 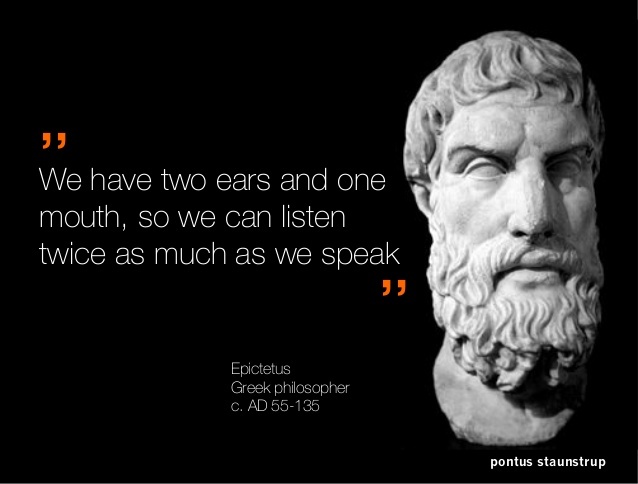 But, good listeners are naturally empathetic – they get into the shoes of the speaker. In an attempt to improve as a good listener, make some genuine efforts to empathize with the speaker. Good listeners try to begin with their own reflection – they imagine what their own reaction would be if they were in other’s position. They evaluate the speaker’s emotional make-up, and approach the speaker to better understanding him. And when they actually interact with the speaker, it truly shows. So, before you approach the speaker, take a pause and imagine yourself in the speaker’s position. Realize Your Shortcomings: As mentioned earlier, good listeners’ way of doing things are so very natural. They listen and they understand like no one does, but that doesn’t mean they ought to listen everything everyone is saying. At times, they may not feel like listening to anyone and that’s okay. There’s nothing wrong with that. Good listeners accept this natural human behaviour in a positive way, in order to not feel guilty. Have an Open Mind: Good listeners have a broader perspective of things around them. They understand that certain issues cannot be resolved by mere listening. This is not a magical wand, but this is definitely something that helps find a solution. In that way, good listeners perceive a conversation as a tool to understand the other person’s thoughts and arrive at a position where they can try the possibilities. Develop Emotional Intelligence: Emotional intelligence can be defined as the awareness of our own emotions as well as of those around us. Emotional intelligence has a greater role to play when it comes to listening. Good listeners put their entire focus on the person talking. They don’t bother about what they are going to say next, because if they do, they are not listening. Ask Questions as Appropriate: Effective listening doesn’t concentrate on lending your ears alone. Asking appropriate questions and giving feedback, are equally important to draw more information. Good listeners show their involvement in the discussion by asking questions, for this is the best way to strengthen the other person’s trust on them. Don’t go on the Defensive Mode: Discussions can lead to ego fights, if they are backed by unhealthy and inconsiderate response. Good listeners have a better way of handling this. They don’t dismiss negative criticisms. Instead, they become more careful about their own reactions to other people. They listen and develop an understanding of what the other person is trying to say before anything else. More importantly they don’t judge people by their responses. It’s Okay to be Little Uncomfortable: One is likely to experience discomfort or anger at any stage of a conversation. Such a situation needs to be treated differently. If you are uncomfortable with what the other person is saying, it’s meaningless to continue with the conversation as it becomes difficult to stay focused. Good listeners embrace such feelings. Listen like a Great Leader: Research indicates that there is a strong, positive correlation between leadership quality and listening skills. To be a good leader you have to be a great listener. Brilliant ideas can spring from the most unlikely places, so you should always keep your ears open for some shrewd advice. 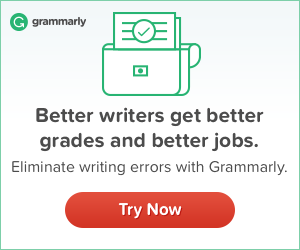 This can mean following online comments as closely as board meeting notes, or asking the front-line staff for their opinions as often as the CEOs. Get out there, listen to people, draw people out and learn from them. Take Away: Incorporating active listening skills into one’s personal and work life can help improve one’s personal relationships and productivity to a significant extent. All it takes it watching oneself closely and constantly evaluating in order to do better constantly. Seeking unbiased feedback from close friends will put things into perspective.